A note from Renae Allen, quilter, author, instructor, and BERNINA National Artisan, on HMQS 2012 (Home Machine Quilting Show)The BERNINA 830 was the star of our classes! Our sewing lab was equipped with 20 new BERNINA 830 sewing machines. In our Feather Fundamentals class, students practiced quilting feathers and quilted the Feather Fundamental table runner project. 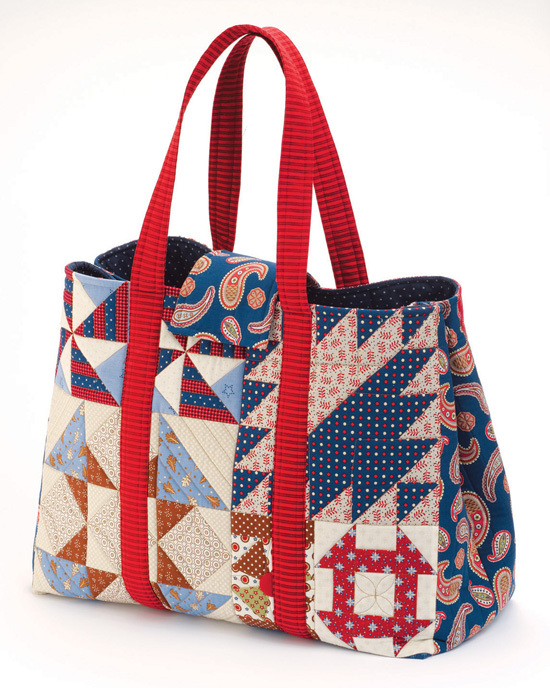 In our Patriot Dream class, students selected and quilted designs on the Patriot Dream tote. These were very successful classes largely because all of the BERNINA 830 machines worked perfectly and the features were ideal for quilting! First, using the BERNINA Stitch Regulator the class members discovered the ease of free motion quilting without the need to concentrate on even stitches. We tried free motion quilting with and without the BSR so they could feel the difference. Second, the machines were easy to thread and the large bobbin holds so much thread. At first some students were intimidated but quickly warmed up to the BERNINA 830 when they experienced how easy it was to thread and how nicely it sewed. Third, students were pleased with the large 12 inch arm and extension table which makes projects manageable under the machine. Fourth, the BERNINA Dual Feed worked great for stitching-in-the-ditch between blocks on the Patriot Dream sampler and assembling the quilt-as-you-go Feather Fundamentals runner. It is less cumbersome than a separate walking foot and prevents shifting between layers. The class projects were based on those on my Feather Fundamentals and Patriot Dream DVD’s, available from your local BERNINA dealer and/or quilt shop.